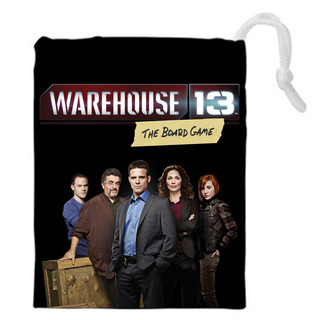 Warehouse 13: The Board Game is an officially licensed, semi-cooperative board game based on the hit Syfy show. The base game plays 3 to 5 players in approximately 130 minutes. It also includes a fully cooperative variant for 2 to 5 players. 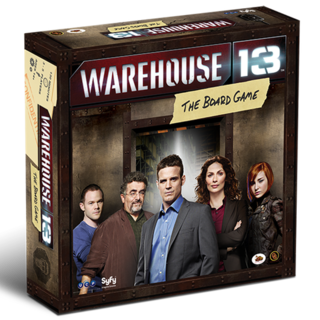 In Warehouse 13: The Board Game, players take on the roles of the iconic Warehouse Agents, one of whom is working as a Traitor for the game's Adversary, James MacPherson. Warehouse Agents must use Trait cards to investigate clues, then use those clues to retrieve artifacts. The Agents win if they retrieve three artifacts. However, MacPherson will grow stronger with every artifact lost. 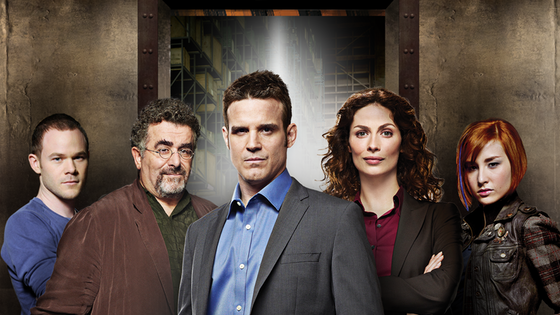 If MacPherson and the Traitor capture three artifacts, the Finale begins, in which the Agents have one last chance to thwart MacPherson's grand scheme.